Christopher Griffiths has shared a new look at his RoboCop documentary and it teases unseen footage from the 1987 classic. It's been a little while since we've had a real update on the RoboDoc, with the last one being the trailer back in November. However, the trailer was excellent and left all of us wanting a lot more. Griffiths has made the documentary out to be a labor of love and he is taking his time collecting all of the footage and interviews he needs to make this documentary definitive word on RoboCop. RoboDoc: The Creation of RoboCop released a new teaser video on social media featuring a short, but unseen scene from Robocop. 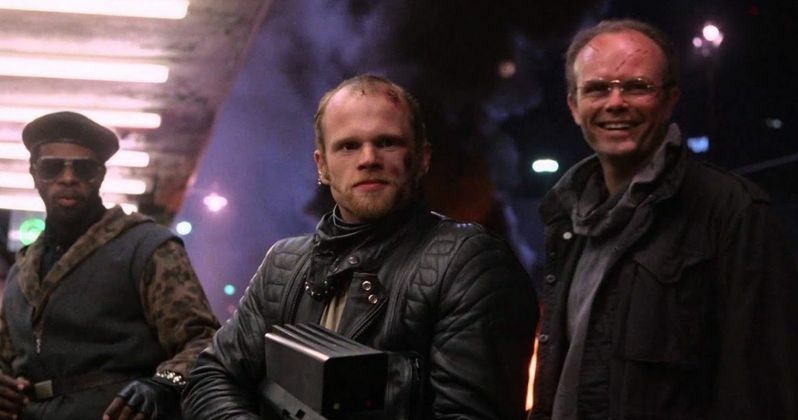 The footage begins with actor Paul McCrane explaining his casting as the villain Emil, noting he had only really played soft characters in the past. Then we see Emil bring out a huge gun and give it a good blast, exclaiming, "I Like It!" It's brief, but still worth checking out and is only a little tease of what will really be available in the finished documentary. Paul Verhoeven's classic RoboCop is known for the over-the-top and crazy blood and violence, which will also be featured in RoboDoc: The Creation of RoboCop. According to the documentary trailer, the Verhoeven mantra on the set of the movie was, "Blood. I want more f*cking blood," and he got what he wanted. Christopher Griffiths was even able to get RoboCop co-creator/screenwriter Edward Neumeier on board as a creative consultant, so we're going to see some things from deep within the vaults of OCP. RoboDoc: The Creation of RoboCop features new interviews with cast members Kurtwood Smith, Nancy Allen, Ray Wise, Tom Noonan, Kenny Page, Ronny Cox, and more. Sadly, star Peter Weller declined to take part in the documentary, but there are archival interviews with the actor included, so there's that. Who knows, he may have changed his mind since doing the recent KFC commercial as Colonel RoboCop. Fans could not believe it was really Weller, but it was. Hopefully he has had a change of heart since revisiting the character for a fast food chain specializing in fried chicken. There is no firm release date for RoboDoc: The Creation of RoboCop, but Christopher Griffiths has hinted at a 2019 release. It's been a few years since the doc was released and we should get at the very least get some more teasers in the near future. With that being said, it would be a wise move to follow the RoboDoc: The Creation of RoboCop Twitter account for the latest updates. Plus, if anyone knows Peer Weller, reach out to him and ask him to participate in the documentary and maybe mention there's some fried chicken for him if he does. You can check out the latest look at the highly anticipated documentary below.